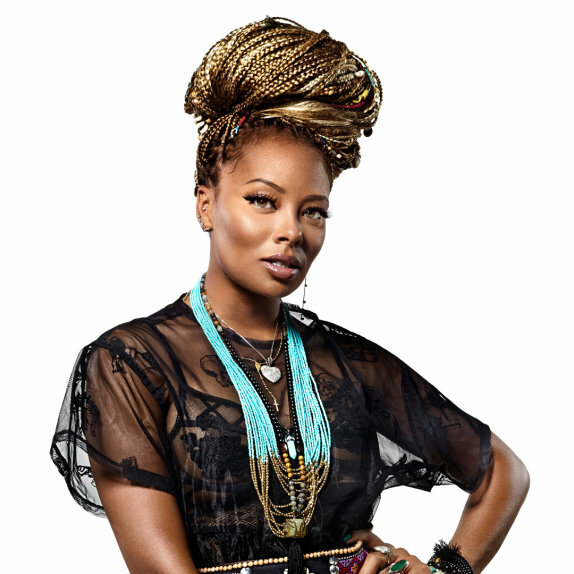 iRealHousewives | The 411 On American + International Real Housewives: Eva Marcille Talks About Joining RHOA Season 10 And Life After ANTM! Eva Marcille Talks About Joining RHOA Season 10 And Life After ANTM! As previously reported, Eva Marcille will appear on the current season of The Real Housewives of Atlanta. The former America's Next Top Model winner teases what viewers can expect from her this season and reveals which cast members she's closest too. The model turned actress also reveals her favorite reality shows and talks life after Top Model. Check it out! "Hate is a very strong word [laughs]. Being a mom of a three-year-old, I try not to hate anyone," Eva told Jezebel when asked if she hated any of her RHOA cast members and if she knew any of the ladies prior to joining the show. "But I must say, I have known NeNe for quite some time, about nine or 10 years now. We met through a makeup artist and just bonded and learned to love each other, and I got to know her husband Greg. My boyfriend [Michael Sterling] was running for mayor of Atlanta — we’ve been together for about three years, and for the past year talked about doing the big move. So I moved to Atlanta and NeNe thought it’d be cool if she introduced me to her set of friends. I got an opportunity to meet these girls who you guys know as the cast of Real Housewives of Atlanta, and I fell in love with these girls. Most of them at least." When asked if she was worried about fitting in with the cast, "No. Fitting in has never been a requirement or a desire of mine. More so, being myself. You know, I’m not a Southern girl by any means. I’m the youngest of anyone in this group. I kind of have a life in entertainment that precedes moving to Atlanta, so there might be some notions of me that preceded me moving here," she explained. "I just came to Atlanta to enjoy this phase of my life and I was happily welcomed with open arms by all these women. I mean, every single one—the ones that you wouldn’t expect. All these women are exceptional and they’re beautiful inside and out." Despite speculation that she would clash with Kenya Moore, Eva comes to Moore's defense and calls the the "sweetest girl ever." "Kenya is the sweetest girl ever! That’s the craziest thing about her," said Eva. "She’s so beautiful, welcomed me since day one. The first day I met her, I didn’t know what to think, definitely didn’t want to be standoffish. But I’m also not a super-clingy kind of person, and she spoke to me before I was even able to say anything. She was very welcoming. Obviously, I am the new person in a space, so you kinda don’t know how to take that and she set the bar and was super sweet." Eva confirmed that her role this season is "“friend to the show" and reveals that fans of the show can expect to see her "throughout the whole season." When asked about the cast drama, Eva made it clear that she came in without any prejudgment. "I didn’t really want to put myself in that box of prejudging any of these women because of their relationships or situations with other women. I think that’s rather immature," she told Jezebel. "You gotta give people an opportunity to evolve. Like, the girl that I was on Top Model is not the woman I am today, and I pray to god that I’m not held to that standard." Eva admits that she's a fan of other Bravo shows such as RHOD, RHOAKL and Below Deck. "Ok, so I love Dallas and I love Auckland. These women are like the full turn-up. And then I love Below Deck. Is that weird?" But is Eva ready to come back to RHOA as a full-time cast member for Season 11? "That’s such a hard question. I think I’d rather see how the show shakes out because this is a show that has truly vested fans that have been in love with the show for so many years," she continued. "I’d like to see what they think. I’d like to see how they accept me in this world. Before I jump the gun and say this is what I want, I really want to see what the rest of the world thinks." Eva talks about life after being on ANTM. "It’s been 13 years since Top Model. That’s a very long time. That’s enough time to rear a few children. We literally started and did Top Model in the beginning of the 2000s before reality TV was even considered a genre, when we were still trying to figure out what this machine or thing even was," she explained. "I think that Tyra is a godsend. The jewels and pearls of wisdom that she’s given me have sustained me over the last 13, 14 years, just teaching me the business part and prioritizing what’s real, what’s smoke and mirrors and teaching me who to be and how to behave in this business. My hat goes off to Top Model. I still talk to a lot of the girls from the show, specifically YaYa and Toccara from my season. That was Season 3, they’re on 23 or something crazy like that and they’re still kicking." Eva teased that she will appear in the upcoming new season of ANTM. "I actually will be back in the Top Model world this season, but the beauty of the show is that it’s been on for so long I don’t even think Tyra stayed abreast of everything that’s happening and it’s her show," she added. "I run into a lot of my old judges. I just talked to Jay Manuel; he has a new beauty line that launched last week in New York. And Nigel Barker, amazing fashion photographer, I keep in contact with him."